Liverpool may have been handed an injury blow as Xherdan Shaqiri has picked up a problem on international duty with Switzerland. The 27-year-old has been limited to 26 appearances so far this season, scoring six goals and providing three assists for the Merseyside giants. He’s been left on the bench for the last four Premier League games and both legs of the Champions League tie with Bayern Munich, and so his influence appears to be waning for Jurgen Klopp’s side in the latter stages of the campaign. 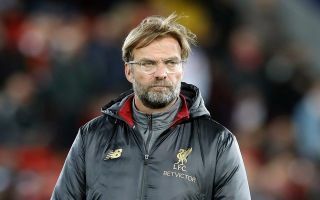 Nevertheless, what he does still offer is quality depth, with Klopp undoubtedly keen to have options at his disposal if required to rotate and freshen things up. However, as confirmed in the Swiss FA’s tweet below, Shaqiri has suffered inflammation in his groin area, and has been ruled out of featuring against either Georgia or Denmark over the international break. While that’s a blow for Switzerland, it will now be a concern for Liverpool too as they wait to find out how serious the problem is and how long Shaqiri might be sidelined for. With so much on the line still in the Premier League title race as well as their Champions League aspirations, the last thing that Klopp wants to hear is his attacking ace being ruled out a significant period. Albeit, it could be argued that given the Reds have continued their march towards major honours this season without him in recent weeks, his absence isn’t such a blow, provided that others stay fit and steer clear of injuries. “The national team must renounce the services of Xherdan Shaqiri in the matches against Georgia and Denmark. Shaqiri suffered an inflammation of the pubic area. Shaqiri left the retreat tonight. His replacement will be announced on Tuesday,” the tweet below reads.